I first encountered Lovecraft’s weird works in the early 1970s. In high school, I began reading stories like At the Mountains of Madness, The Lurking Fear, and The Shadow Over Innsmouth. “To create a great popular myth is to create a ritual that the reader awaits impatiently and…returns [to] with mounting pleasure, seduced each time by a different repetition of terms, ever so imperceptibly altered to allow him to reach a new depth of experience” (1). Yet, despite my dedication to Lovecraft fiction, I knew little of the Man behind the Mythos. In this article, I would like briefly to trace my steps into the World of Lovecraft. I hope during the discussion that you find some common ground with your own HPL experiences. When you think about H.P. Lovecraft, a complex mixture of fictions and facts come to mind. Some want to convert elements of HPL’s fiction into veiled allusions to realities in his life. Thanks to the puerile notions of Sigmund Freud – such as projection – more than one arm-chair alienist have looked at the Randolph Carter tales or stories such as The Outsider as literary mirrors of Lovecraft’s psyche. There was one problem with that approach that I did not learn about until later in life: Not all the Ballantine books that bore Lovecraft’s name contained stories written by the Master. 1) How he recast the impersonal Lovecraftian Cosmos — where humanity lived as ants, ignorant of their insect-hood, as ancient aliens sought to end their infestation — into a Cosmic drama, a scene of metaphysical dualism, where celestial forces of good and evil warred to the benefit or detriment of humankind as their motivation (2). 2) “[August] Derleth tried to prevent any other (non-Derleth-approved) writer from writing Cthulhu Mythos stories…” (3). 3) How Derleth characterized his mythos stories as collaborations with Lovecraft – a sleight-of-hand means to increase the sales of Arkham House books (Derleth’s company). 4) Most early writers who documented the “Cthulhu Mythos” in scholarly articles perpetuated the misconceptions begun by Derleth (4). I remember how Lin Carter, in Lovecraft: A Look Behind the Cthulhu Mythos, continually deferred to Derleth’s understanding of Lovecraft, when he needed an “expert” opinion. I do not want to join the various movements that try to criminalize or decriminalize August Derleth. I simply want to relate the terrain I covered when I first traversed the Lovecraftian landscape. At that point, I moved on to secondary sources. Those works purported, as Police Sergeant Joe Friday customarily recited on the 1960s Police Show, Dragnet, to tell “…Just the facts, ma’am…” in regards to H.P. Lovecraft. Indeed, we owe a great thanks to the stalwart scholars who resurrected H.P. 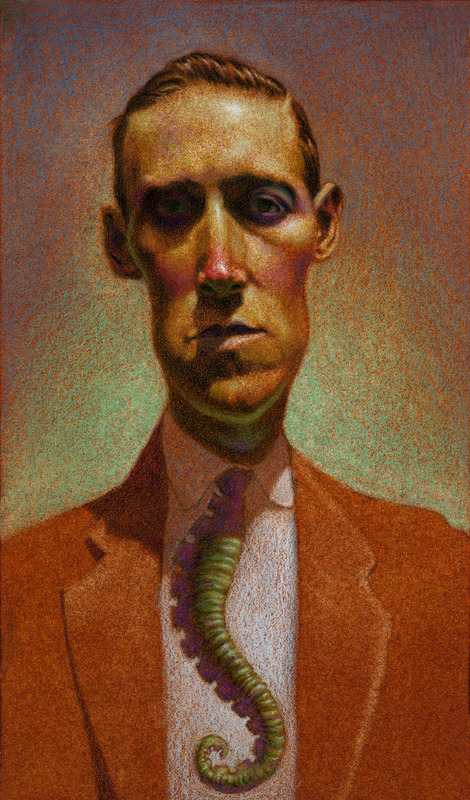 Lovecraft from the dustbin of forgotten authors and artists. Why had Lovecraft been disregarded by many in the literary community? Was “baroque” writing bad writing? In a 1945 review, Edmund Wilson dismissed Lovecraft’s stories as “hackwork.” He also sneered at the magazines for which they were written, Weird Tales and Amazing Stories, “where…they ought to have been left” (5). 1) Lovecraft’s writings were treated as static, when they were dynamic and developing. Lovecraft’s earlier adjective-heavy prose are compared to the minimalist style, epitomized by Ernest Hemingway. Since mainline scholarship worshipped Hemingway, there was little room in the Literary Pantheon for someone most considered a minor figure. “You expected to be sad in the fall. Part of you died each year when the leaves fell from the trees and their branches were bare against the wind and the cold, wintery light. But you knew there would always be the spring, as you knew the river would flow again after it was frozen. When the cold rains kept on and killed the spring, it was as though a young person died for no reason” (6). “…suddenly my attention was captured by the realization of something which must have been impinging on my subconscious hearing long before the conscious sense was aware of it. From some still lower chasm in earth’s bowels were proceeding certain sounds, measured and definite, and like nothing I had ever heard before. That they were very ancient and distinctly ceremonial I felt almost intuitively; and much reading in Egyptology led me to associate them with the flute, the sambuke, the sistrum, and the tympanum. 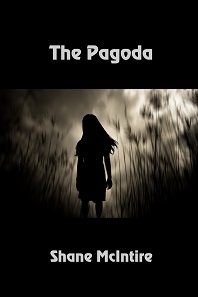 In their rhythmic piping, droning, rattling and beating I felt an element of terror beyond all the known terrors of earth – a terror peculiarly dissociated from personal fear, and taking the form of a sort of objective pity for our planet, that it should hold within its depths such horrors as must lie beyond these aegipanic cacophonies. The sounds increased in volume, and I felt that they were approaching. Then – and may all the gods of all pantheons unite to keep the like from my ears again – I began to hear, faintly and afar off, the morbid and millennial tramping of the marching things…” (7). That static view missed an important point. Over time, Lovecraft’s writing progressed from an adjective-heavy text to the cleaner prose of The Shadow Out of Time (1935). 2) Lovecraft wrote to achieve an affect; his work was an avant-garde that mirrored in literature – Picasso’s cubism. The staid and stodgy traditions that defined good “art” and “literature” were set aside. The new art sought to evoke novel experiences in their beholders. Cubism left behind traditional perspectives used to order space in paintings since the Renaissance. Cubistic innovations epitomize a response to the changing experience of space, movement, and time in the modern world (8). Lovecraft abandoned traditional views of the cosmos, theistic notions of good versus evil behind space-time events, and spiritual worlds overlaying the materialistic spheres. In their places, he gave us non-Euclidian perspectives and led us to experience emotions outside the norms. And he positioned us in a nihilistic universe cast loose from its theocentric and anthropocentric moorings. HPL went outside the gothic lines that befriended others to create his own literature, related to, but apart from other forms of fiction. Those who could not think outside traditional forms of art or thought criticized the new, non-traditional, nonlinear in either artistic medium. Imagine visiting a Cubist exhibition of Picasso, featuring his geometric representation of living things on canvas by day. And then by night, reading about similar geometric entities populating the space in-between the three dimensions, either in From Beyond (1920) or Dreams in the Witch House (1932). 3) How can one celebrate Lovecraft’s astounding imagination on one hand – as a means to account for the sustained success of HPL’s fiction – and on the other hand, scorn his style as appalling? That is the height of illogical thought. Yet, “learned” men of letters held such faulty reasoning as indisputable fact concerning Lovecraft. Thereafter, Wilson’s dismissive swipe at Lovecraft set the tone for scholastic opinions about HPL for decades. Sometimes scholastic study is tied to the popularity of the subject being pursued. But, the staunch Lovecraft scholars were not interested in winning popularity contests. Yes, we owe much to the Lovecraft researchers, who labored in lonely places – without acclaim, applause, or support. There, notables such as the eminent S.T. 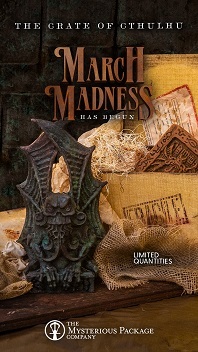 Joshi, the indomitable Dr. Robert M. Price, and others – Dirk W. Mosig, Donald R. Burleson, David E. Schultz, and Richard L. Tierney, to name a few – began to turn the Lovecraftian tide. Gradually, thanks to their tireless efforts, Lovecraft has been ranked alongside Edgar Allan Poe, one of America’s Greatest Writers. Yet, sometimes their works reflect a rigorous scholastic rigor mortis, wheeling out a taxidermied Lovecraft that was anatomically correct down to style of knot HPL used to tie his straight-laced shoes. Invaluable as these stitched-together “Lovecraft” museum pieces are, it is often difficult to imagine the “spirit-of-the-thing,” to get beyond the veil-of-flesh to the passions that inspired the man. Truly, the Lovecraft “thing” raised from the essential salts of the man by practitioners of the prevailing scholastic alchemy can be questioned. And sometimes notably truths can be obtained by such pedagogic necromancy. However, when one seeks the living among the dead, elements of the essential “Lovecraft” – the Man beyond the Mythos – seem lost in the scholastic séance. Where is the fire from above that animated Lovecraft, much as lightning gave life to the corpse that Victor Frankenstein pieced-together? As one consumed with learning more about Lovecraft’s fire – the things that animated him – I turned to works like Michel Houellebecq’s H.P. Lovecraft: Against the World, Against Life and Donald Tyson’s The Dream World of H. P. Lovecraft: His Life, His Demons, His Universe. While many of the ideas forwarded by such books have an intuitive-ring-of-truth to them, each author has a certain point-of-view. For example, Tyson would clothe Lovecraft with the robes of an occult high priest, garments that seem ill-fitting to HPL’s materialistic skeleton and atheistic outlook. Nevertheless, both Houellebecq’s and Tyson’s books provide alternative views of Lovecraft, that broaden our understanding of the milieu out of which HPL arose. Enter the world of primary sources – the multiplied hundreds of letters that flowed like lava from a volcano, between Lovecraft and his many correspondents. I remember here and there in fandom and scholarly works, finding an occasional letter of Lovecraft quoted – usually in part – to support a writer’s point. Those inclusions whet my appetite. Did the ellipsis used by an author – the three dots “…” used to indicate that extraneous words in the quotation had been abridged; were the words superfluous to Lovecraft’s thought? Or did the writer eliminate the words, in order to change Lovecraft’s thought to match the author’s presuppositions? 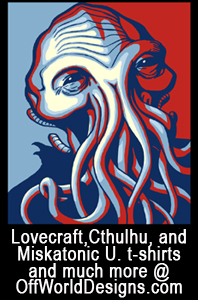 Not that I have run into that issue with Lovecraftian articles I have surveyed. But some investigators in other fields sometime “fudge” on the research, to prove a point. 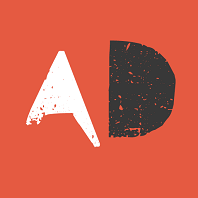 They are funded based on producing results that reinforce the sponsor’s market positions. Many people believe that, if something is in writing, it must be true. In Lovecraft’s letters – to Reinhardt Kleiner, Alfred Galpen, and James F. Morton, to name a few – HPL speaks. Sifting through the many moods of the man, and the many concerns he voiced, you learn to decide for yourself if an interpretation of Lovecraft more closely approximates fact or fiction. I have included reading some volumes of Lovecraft letters – along with re-reading various works on HPL such as Maurice Levy’s Lovecraft: A Study in the Fantastic and S.T. Joshi’s The Rise and Fall of the Cthulhu Mythos – over the past months. I feel in many ways that I have only scratched the surface of Lovecraft’s complex personae. My interest in Lovecraft studies does not naively overlook his racism. I just remember, as a child of eight, how difficult it was to talk about racism to my elderly family members, born around the same time as Lovecraft. Where did You Begin Your Journey with Lovecraft? In the end, your level of interest in HPL will guide how far you delve into all things Lovecraft. I began my journey with Lovecraft’s literature, and things progressed from there. Others began with the varied Cthulhu Mythos games, so their journey may take a different direction than mine has. Still others may have encountered Lovecraft through the whimsical YouTube phenomenon, Ask Lovecraft, where Howard Philips has been brought back to life – without any criminal necromancy – by Leeman Kessler. Finally, some folks began their interest in Lovecraft with the various Lovecraftian movies – such as Stuart Gordon’s Re-Animator. Where did you start with Lovecraft? For me, “Lovecraft’s writing is art” in every sense of the word. 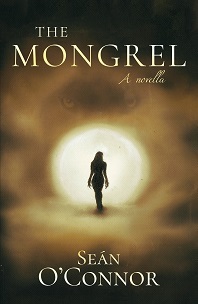 Through his art, I have been transported to distant places and stood beside some of his characters, beholding wonders and terrors as they dawned on his protagonists. I felt a strong kinship to some of Lovecraft’s fictional scholars, when my academic pursuits isolated me from my peers. I have set aside what I consider some of his better fictional quotes, to use as a plumb-line to measure the quality of my own fiction writing. “…Hopelessly at bay, weaponless, and knowing that any show of physical violence would bring a score of attendants to the doctor’s rescue, Joseph Curwen had recourse to his one ancient ally, and began a series of cabbalistic motions with his forefingers as his deep, hollow voice, now unconcealed by feigned hoarseness, bellowed out the opening words of a terrible formula…” (9). Finally, I have a burning intellectual curiosity to unravel, the best I can, the mystery, the bundle of contradictions that was Lovecraft the man. Whatever Lovecraftian fare has brought you to the HPL table and the Lovecraft eZine, I hope you take every opportunity to broaden your knowledge about the Man behind the Mythos. (1) “Ritual Literature,” H.P. Lovecraft: Against the World, Against Life, by Michel Houellebecq, Orion Publishing Group, 2005, p. 37. Baltimore: T-K Graphics, 1976, pp. 57-59. 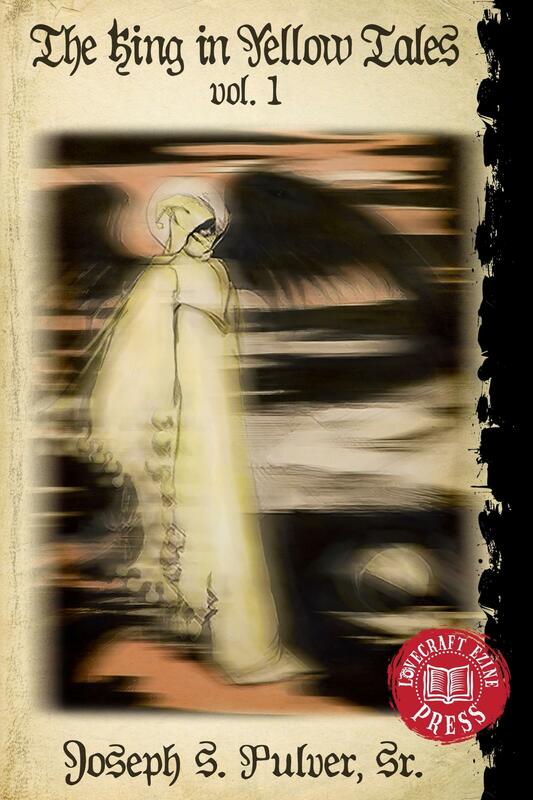 (3) Cthulhu 101: A Beginner’s Guide to the Dreamer in the Deep by Kenneth Hite, 2009. (5) Classics and Commercials, Farrar, Straus and Co., 1950, p. 288. (6) A Moveable Feast, by Ernest Hemingway, 1964. (7) Imprisoned with the Pharaohs, by H.P. Lovecraft, 1924. (8) “Cubism: Started: 1907, Ended: 1922,” by Justin Wolf, The Art Story.Org: Your Guide to Modern Art. 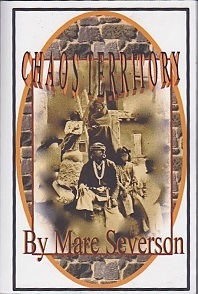 (9) The Case of Charles Dexter Ward, by H.P. Lovecraft, 1927. John DeLaughter, M.S., is a Data Security Analyst who lives in rural Pennsylvania with his wife Heidi, daughters Kirsten and Kaitlyn, granddaughters Riley and Annabelle, two dogs, two cats and a coop full of chickens. He has devoured Lovecraft, beginning with At the Mountains of Madness in high school. 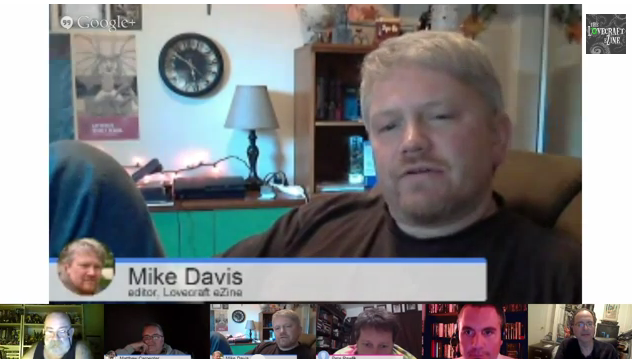 ← Did you miss Sunday’s “Lovecraft eZine Talk Show”? Watch it here! Thanks for the comment Joseph, glad you liked it! Thanks for that John, it’s obvious you put a ton of work into it! It has inspired me to deepen my Lovecraftian knowledge. Thanks you Lou, I appreciate your taking the time to comment on the article. I think the more you learn about Lovecraft, the more questions arise about what made him tick, and stand in wonderment at where that spark of genius came from that burns brightly in so many of his stories! Excellent article, and it seems you try to keep free of any one particular view of HPL in the search for your own understanding. One thing I’m curious about. You cite Kenneth Hite’s book, Cthulhu 101, as source of the notion that Derleth tried to prevent anyone else writing about Cthulhu. I discovered Lovecraft in 1960 with The Thing On the Doorstep. From there I followed much the same trail you’re now blazing, including many of the letters and biographical/critical books, and I’ve never read that Derleth was so proprietary. Considering Lovecraft’s own invitation to others to use and expand on his creations it would have been an odd position to try to hold. Do you know if he provides any basis for that idea? Gene, I appreciate your taking the time to read the article, and commenting on it. 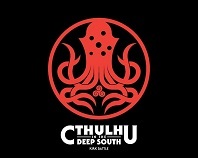 I believe there is an article in detailing Derleth’s attempts to exercise proprietary rights over the Cthulhu Mythos. I tracked down two sources to briefly illustrate this aspect of Derleth’s career. 1) Consider the various moves Derleth undertook to seize legal control of the Lovecraft papers, stories etc. Lovecraft originally named in his will, Robert Barlow, to be his literary executor. Derleth, through various means, pressured Barlow to rescind his rights to the Lovecraft literary corpus. Barlow eventually gave in, as his interests turned elsewhere – he simply didn’t feel the struggle important enough for a sustained fight in the courts. “Derleth was critized for exploiting Lovecraft’s name…for his hard boiled, belligerent attitude towards others who wished to reprint Lovecraft’s stories. He demanded reprint fees even when the stories had long been in public domain…Derleth also asserted questionable claims to the entire Lovecraft literary corpus. In 1947, hearing that Sonja Greene Lovcraft Davis was thinking of publishing some writings by Lovecraft, he threatened to sue her if she did it without his permission. Nothing came of the threat, and he and Sonja made up later; but his attitude was clear…” “Posthumous Triumph”, Lovecraft: A Biography, by L. Sprague de Camp, 1976, p. 464. “Introduction”, Tales of the Lovecraft Mythos, editor Robert M. Price, pp. xxxiii-xxxiv. I hope this clarifies in greater depth what I mentioned in passing in the body of the article. Thanks again Gene! 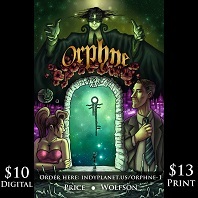 And stay tuned to the Lovecraft eZine for more great article son Lovecraft. Thanks for your reply, John. I wasn’t aware of the full extent of Derleth’s machinations. He really is an ambivalent figure. I don’t think it’s true, as some like to say in his defense, that without him Lovecraft would have been forgotten; the work is simply too good for that. But it’s undeniable that it would have taken much longer. No problem Gene. The record on Derleth speaks for itself, That’s why he is a real polarizing figure. Note: S.T. Joshi’s views versus those who champion Derleth, such as the writer of recent The Derleth Mythos. Yes, undeniably, perhaps another early Lovecraft devotee would have taken up HPL’s cause, had Derleth not been in the picture. Again, thanks you for reading the article, and your comments! Very relatable and enjoyable article, John! Also an excellent brief history of Lovecraft literary criticism. Your comment: “Why had Lovecraft been disregarded by many in the literary community? Was “baroque” writing bad writing?” really resonated with me, and you raise an excellent point. Although Lovecraft’s style has been heavily criticised, even by his most ardent admirers, including Neil Gaiman, I had always enjoyed that baroque extravagance. I agree with Lovecraft when he said that the words and semantics of language contributed to his eerie, weird atmosphere. I enjoy Lovecraft as much for his imaginative ideas as for the style in which he presents them. In view of your comments on the Derleth equation, I’d like to ask if you have any further insight into the matters of Lovecraft’s intellectual properties? Do you know if it is presently allowable to set a novel in the city of Arkham? 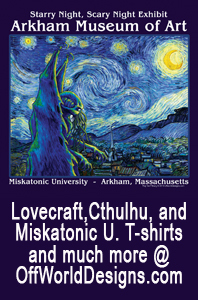 I realize that non-Lovecraft additions are not public domain, but are the likes of Miskatonic University, Arkham and Innsmouth fair game? Forgive me for being a little off topic, but I’ve been trying to figure this one out, and you seem to know your stuff! I really enjoyed your article! I liked the subheadings and structure. Thanks, John. –And Mike, thanks for providing a venue for a variety of content, fiction and otherwise! Jason, thank you for reading, then taking the time to respond to the article. The idea of recounting my personal journey as a way to structure the article, originated with my dear wife Heidi. I’m glad it resonated with you. Yes, how on one hand, people can criticize Lovecraft’s writing style miss the atmosphere it conjures up, to the point where you feel you step into the world Lovecraft weaves – it seems that often, some critics have their minds made up, before the read a word of HPL’s writing. On the many settings in Lovecraft’s writing and whether they can be used for stories by other writers today. 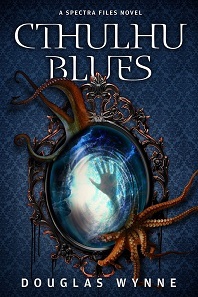 I usually am a re-reader of Lovecraft, on occasion go to newer Lovecraftian tales to enjoy. But to my knowledge – and I’m not a literary lawyer – the field is wide open, to use Lovecraft’s varied locales for telling new additions to the Mythos. 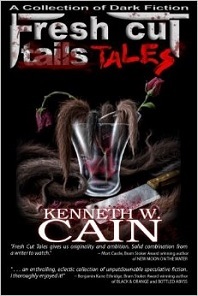 For example, Peter Rawlik – a regular panel expert on the Lovecraft eZine chats – took Lovecraft’s Re-animator Tale and using story threads and seeds from that tale, has written several successful novels, including The Weird Company and Reanimators. I guess the biggest challenge is to begin where Lovecraft started, and create something fresh. Or to do like the eminent Lovecraft author W. H. Pugmire, to create their own Lovecraftian settings, and write tales of the weird and fantastic in that structure. In closing, again, thanks Jason for responding to the article, good luck on your writing pursuits. And we really do owe a debt of gratitude to Mike Davis, as this article wouldn’t exist without the Lovecraft eZine. Great article and an absolute guidance for new maniacs like us. Thank you. Thank you for taking the time to leave a comment Vic, and I’m glad you enjoyed the article. 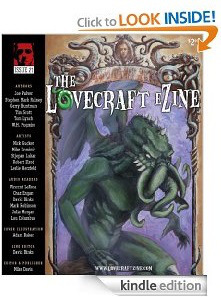 The Lovecraft eZine is one of the central places on the web for all things Lovecraft. 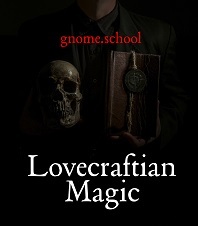 Plus, there are some heavyweights in the Lovecraft community, who call the eZine their online home away from home – such as Dr. Robert M. Price’s “The Lovecraft Geek” podcasts. Big thanks to Mike Davis, who’s dream made this all possible!